We may never be world beaters when it comes to football, but in the world of cycling the UK is now top of the pile. So where do you turn to find out more from the world of cycling? we hear you ask. Cycling Weekly, of course. Buy a single copy or subscription to Cycling Weekly magazine. The nation’s biggest weekly cycling magazine and a bible to all those who have a passion for pedal power, it has all the news and expert views you could wish for. We may never be world beaters when it comes to football, but in the world of cycling the UK is now top of the pile. So where do you turn to find out more from the world of cycling? we hear you ask. Cycling Weekly, of course. There’s all the latest news and inside information from the peloton, guidance on upcoming events, advice on training methods, bike-handling techniques and nutrition, reviews of the latest products and recommendations for the best routes and cycling holidays in these pages. There’s also plenty of big interviews and inspirational stories from the cycling community. 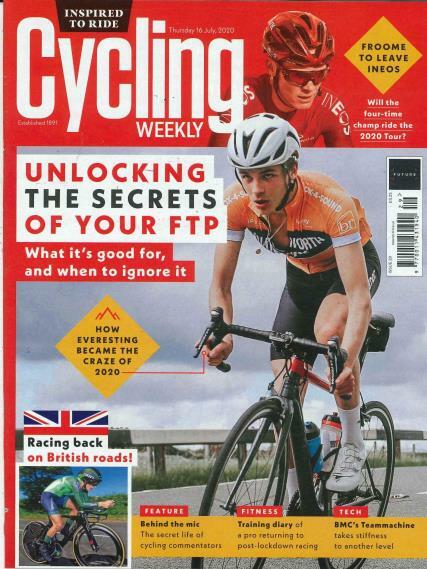 If you are a keen biker or even a complete novice looking to take up a new sport or cheap and green way to commute, a Cycling Weekly subscription will satisfy all of your needs.